During the terrifying 12-hour ordeal insurgents armed with Kalashnikovs and suicide vests went from room to room searching for foreigners, survivors and a security source. Kabul, Afghanistan: At least 40 people were killed in the attack on Kabul's luxury Intercontinental Hotel at the weekend, official figures showed Thursday -- almost double the earlier toll released by Afghan authorities. "The final death toll (among Afghans) from Intercontinental Hotel attack stands at 25," health ministry spokesman Wahid Majrooh told AFP. "We don't know about the foreign fatalities," he said, adding 12 Afghans had been wounded. With 15 foreigners already confirmed dead in the Taliban-claimed assault that began late Saturday, that takes the total death toll to 40. Investigators are still looking into how the militants were able to get past privately-owned Kabul Balkh Safety & Security guards and launch the assault with guns and grenades. 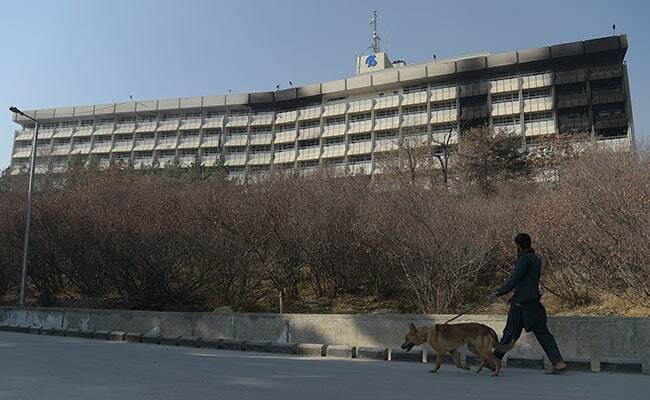 Visitors to the upmarket hotel, which sits on a hilltop overlooking the Afghan capital, have described glaring security breaches before the assailants went on a bloody rampage targeting guests. Bags were not checked, scanners did not work and body searches were non-existent, according to witnesses. During the terrifying 12-hour ordeal insurgents armed with Kalashnikovs and suicide vests went from room to room searching for foreigners, survivors and a security source have told AFP. Among the foreigners killed were seven Ukrainians, four Americans, two Venezuelans, one Kazakh and a German. "The United States strongly condemns the attack on January 20 at the Intercontinental Hotel in Kabul," US State Department spokeswoman Heather Nauert said Wednesday, announcing the US toll. Two US citizens were also wounded, Nauert added. "We offer our deepest condolences to the families and friends of those who were killed and wish for the speedy recovery of those wounded," she said. The Ukrainians and Venezuelans killed in the attack had worked for Afghan airline Kam Air, whose chief executive Samad Osman Samadi on Wednesday described their deaths as "a disaster for us". "It will take us a while to recover because we lost our professional crew. We also used their experience to train our Afghan pilots," Samadi said at a sombre ceremony at Kabul airport where the remains of the Ukrainian employees were loaded onto a plane to be repatriated. At least 40 Kam Air employees were at the Intercontinental, which is not part of the global InterContinental chain, when the gunmen began slaughtering guests.